Sonus Dept. 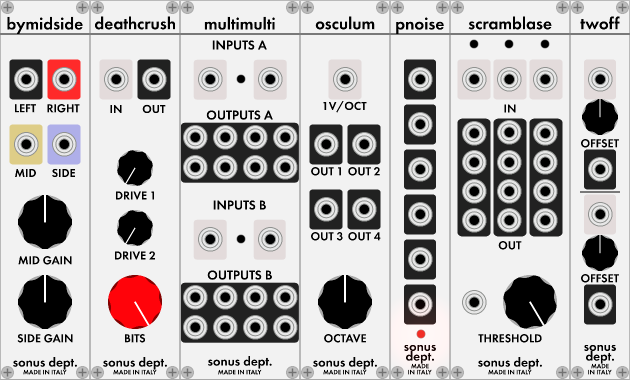 has released Sonus Modular, a pack featuring 7 modules for VCV Rack. Multimulti: a simple but handy double 2-in 8-out multiples. 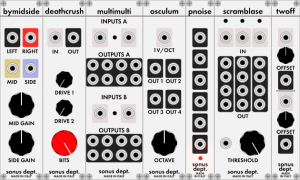 Osculum: a VCO capable of harmonic but unusual sounds. Piconoise: an ultra compact white noise generator with 8 outputs. Twoff: double CV static offset. 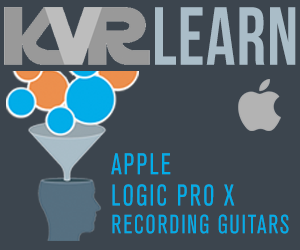 The source code is licensed under GPL, and binary releases for Windows and Linux are provided (OS X binaries coming soon). The latest version of VCV Rack (0.4.0) is needed.